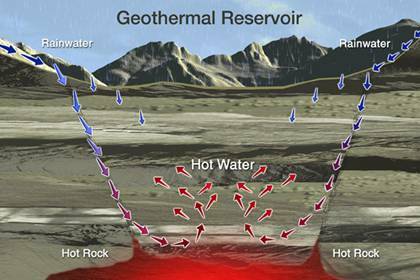 The thermal energy that is generated from the earth and also stored inside of the earth’s crust is collectively called as geothermal energy. The geothermal energy available is basically is a result of the formation of the planet and also due to the minerals which are in a continuous process of radioactive decay. The actual meaning of the word geothermal goes back to the Greeks when ‘ge’ was called as earth and ‘thermos’ meant hot. The main cause of this energy is the molten rock or magma that is present well below the earth’s crust. The actual production of geothermal started in the Paleolithic times when a decent amount of this energy was used in bathing and then it was continued during the roman era for the purpose of space heating. 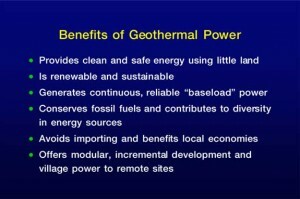 Geothermal alone has several features that in turn makes it reliable. This energy is environment friendly and also economical. 1) Pollution free energy: The main advantage of using geothermal energy is that it is extremely environment friendly and hence does not cause any amount of pollution. It does release gases that are found deep inside the earth but their harm to the environment may be considered negligible. 2) Economical: This form of energy is said to be very economical as there is absolutely no use of fossil fuels and hence saves a lot of the non-renewable energy. Therefore the total amount required for infrastructure and maintenance is quite low when compared to the various forms of non-renewable energy. 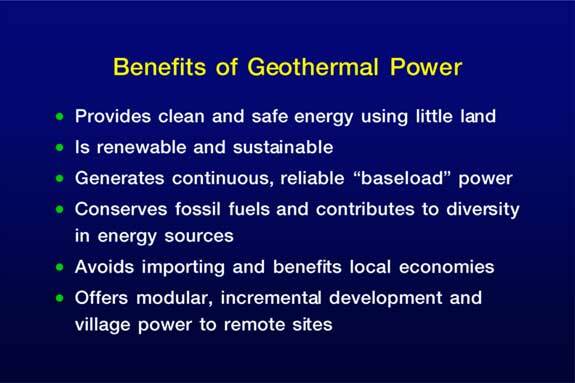 3) Can be used directly: Geothermal energy is extremely cheaper and affordable. In the earlier days, this energy was used for myriad purposes like bathing, heating etc. Even today, this is widely used for heating offices and homes. 4) Farming uses: Geothermal energy is also used in a number of farms especially to heat their greenhouses. 5) Used in houses: It can be used to cool homes too. There is an entirely different perspective to it.The heat that is inside a house is absorbed and made to flow in pipes towards the ground. Here, it gets naturally cooled and then the cooled air is given back to the house through another pipe. 6) Fish farm uses: You might be surprised that geothermal energy has not been missed out anywhere. Even in quite a few fish farms, this type of energy is tapped and used .The warm water that is thus obtained from the heat can be used for the survival of several animals like tropical fish, amphibians etc. The geothermal technology has amazingly advanced like no other. Geothermal energy can be tapped strategically for a number of purposes and used as an excellent alternative source of energy. Why has geothermal energy grown into one of the most important sought-after renewable energies these days? Geo thermal energy being environment-friendly, has hardly come across any setback or harsh negative impacts on the environment. 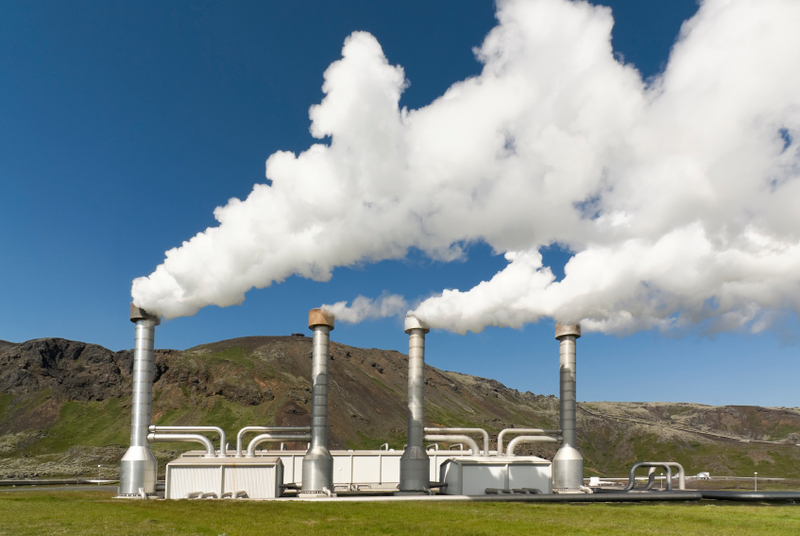 Geothermal energy is basically the future of green generation. It has rapidly attained the name of ‘alternative energy’ since it is reliable and sustainable. It’s not only a clean form of energy that is produced through the set up of geothermal plants but also can be very benefiting to unemployed people by providing jobs. When compared to wind energy, it does seem very reliable. 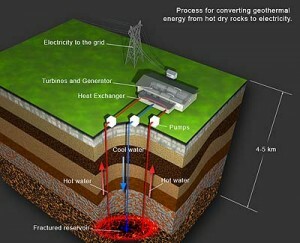 Wind energy is all about choosing a strategic position to harness the best available energy but geothermal is not so. Geothermal energy can be harnessed just about anywhere as the heat present inside the earth is always constant. Similarly, even the solar energy does have its own setbacks. On cloudy days where there is no exposure to sun, the solar-powered devices do not operate efficiently and sometimes do not operate at all. This seems to be a major setback and hence solar energy cannot be entirely called as an alternative source of energy. But, geothermal plants that are set-up normally do not come across disturbances and they go on operating for several years without any major setback. Besides, the geothermal plants that were set up several years ago are still made the best use of, even today. The combination of several gases that are available at the earths’ crust is released to the atmosphere through geothermal plants. Some of them being methane, ammonia and carbon dioxide too. But, the amount of harmful gases that these plants release is comparatively lesser than the amount of harmful gases released when burning fossil fuels. There are several other toxic elements that come into the picture. For instance mercury, boron, antimony etc which are termed harmful only if released to the earth’s surface. But, geothermal energy has improved quite much that now these harmful toxic elements are further pushed back to the earth’s crust instead of releasing them to the earth’s atmosphere. This is not all. There have been cases of subsidence of land too. Severe or enhanced plant construction can affect the land and cause natural cataclysms like subsidence. Though, geothermal energy does have several negative impacts, the overall benefit that it can give to the world is phenomenal. Moreover, it is an excellent alternative to the burning of fossil fuels. If geothermal energy takes its stand and also, if it’s used strategically to completely eliminate the use of any fossil fuels , then we can expect to build a greener future for our tomorrow.